This download is hosted on a free file share site, so there are very annoying pop-up ads. So sorry. 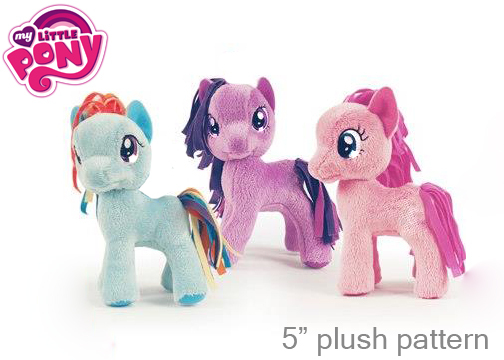 Here is a sewing pattern I drafted for a 5" 'my little pony' plush. It is for a basic pony intended to have yarn hair. Feel free to add on to this pattern to make your own customized ponies! You can also print the pattern at 300% - 'collage' (in the print settings of Adobe PDF Reader) and create a much bigger version. This pattern doesn't currently have illustrated instructions. Ya, I'm lazy. I'll get to it maybe sometime later. However I did take time to computer illustrate the pattern and seam allowance. 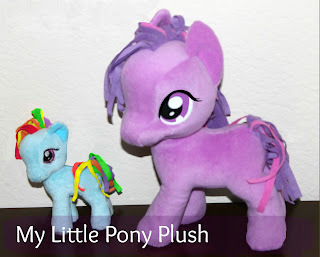 If want to make the pony smaller print at 30% and use felt without a seam allowance. Overhand stitch the edges together. It takes longer but is very cute. 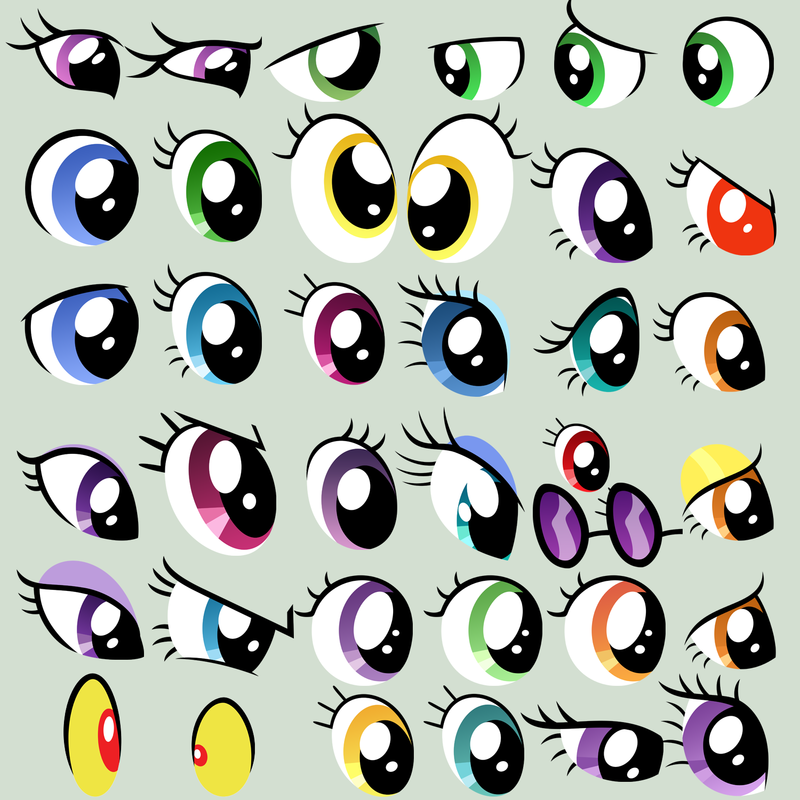 Here are different character eyes for you to use as a reference. 1. Cut out all your pieces. Mark with a pencil on the wrong size were all your seam lines are. 2. Get some yarn or fabric strips for hair and sew the ends together in a straight line to form the mane. For the tail knot the ends together. 7. Once the head sides are together you add the little chin at the bottom of the snout. Sew together in a half circle. 8. At this point you can embroider on the smile, and the eyes. You can also hand stitch on felt eyes at the very end if you prefer, or even draw then on using puffy fabric paints or regular acrylic craft paint with is machine washable after 48 hours. 10. Attach 'inner back leg' to the 'under belly', at the semi circle at the end of the under belly. 13. Sew the neck to the body. 14. Pin on the main and tail. the fabric and yarn will be on the inside of the body. Sew from the top of the head to the bum. 15. It's almost complete. Just turn it right side out, stuff using a pencil or a long tool and hand stitch the opening at the belly closed. 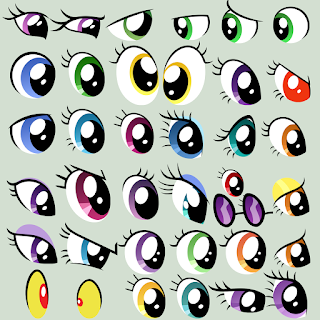 Add on eyes now if you have not already and that 'cutie mark'!